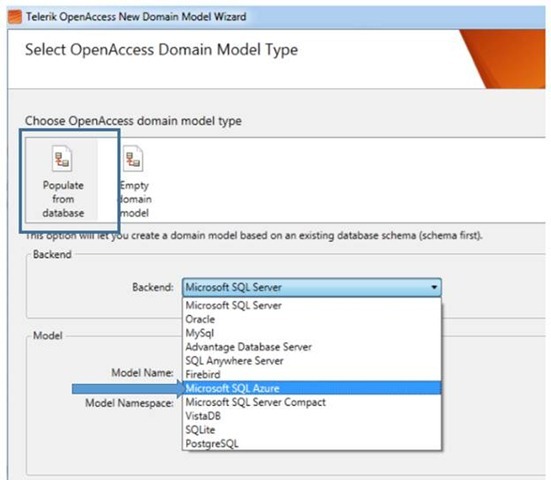 In this post we will take a look on creating data model using Open Access ORM from a data base in SQL Azure. 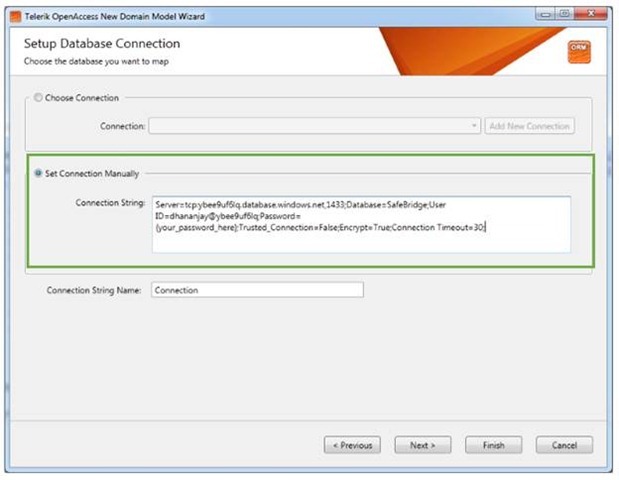 To create data model add new item to project and select Telerik Open Access Domain Model from Data tab. 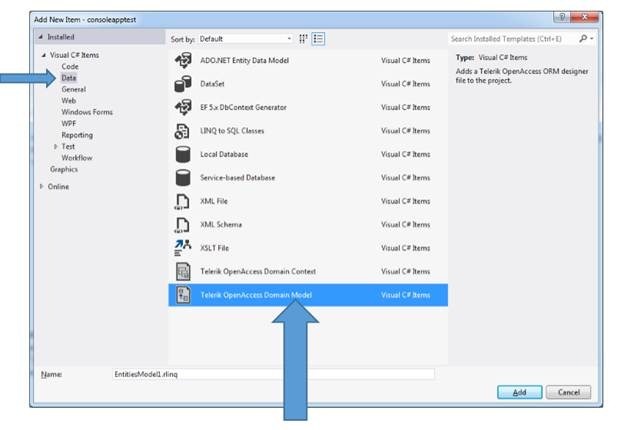 Next select option Populate from database and from drop down choose Microsoft SQL Azure. If you want you can change the model name and then click on the Next. 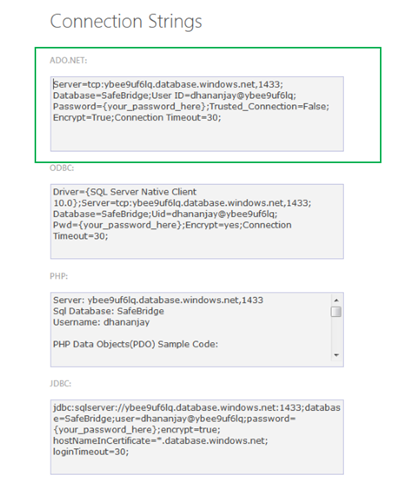 Telerik Open Access ORM does not provide you to create a connection in case of SQL Azure. You will have to manually copy and paste connection string of SQL Azure database to create Domain Model. 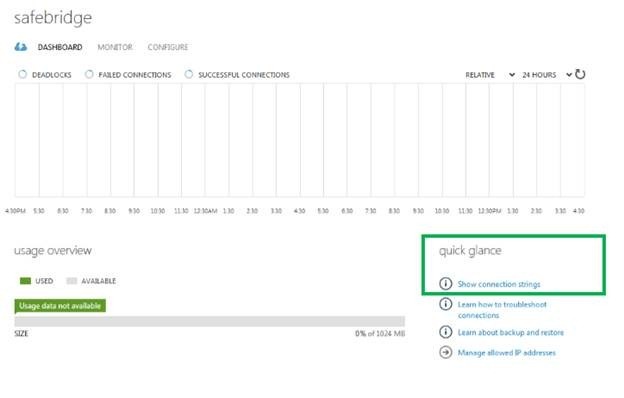 You can find connection string of SQL Azure database in Windows Azure portal. In the quick glance click on the Show Connection strings to see the connection string. Choose ADO.NET connection string. Do not forget to change the password with the real password. Copy this connection string of ADO.NET and paste it to Set Connection Manually section and click on the Next. 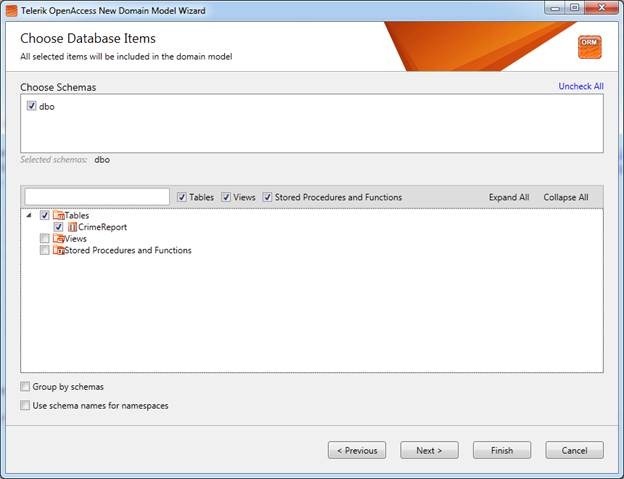 Next you need to choose Schemas, Tables, Views, Stored Procedure to create data model. Let us say we are choosing only one table to create data model. After choosing items click on the next. Now you can define naming rules of Classes, Fields and Properties if required. Let us leave to default and click on next to proceed further. In last step you can configure Code Generation Settings. Let us leave settings to default and click on Finish to generate data model. Once Data Model is created you will find *.rlinq file added in the project. 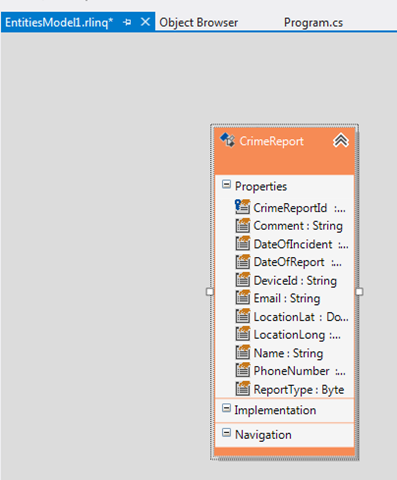 Click on *.rlinq file to view the data model. In this way you can create a data model using Telerik Open Access ORM from a SQL Azure database. I hope you find this post useful. Thanks for reading.